Seemed a bit busy, but It works. and with your lighting. 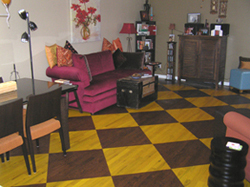 We will also mix custom stain colors and do custom stain designs and patterns. For a color chart of the stains we use, please click here. as much as red oak or more yellow woods. For example, red oak will add a slightly red tinge to any stain put on it. 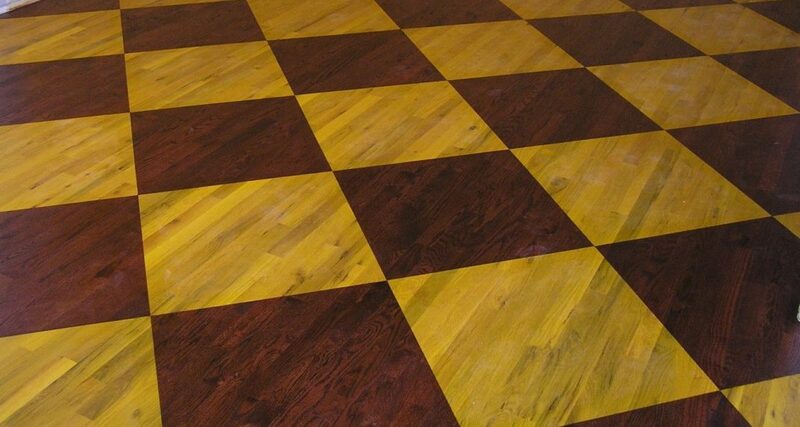 A custom stain such as this checkerboard design that went through the entire house can definitely give your floor a personal look nobody else will have. Each floor is unique anyway, but stains can sometimes really bring out the beauty in a certain type of wood. Maple and other very hard woods are difficult to stain however, so talk to us about any custom stain ideas you may have before you order your wood. 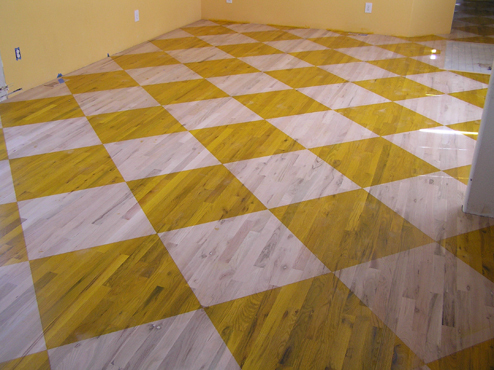 Custom stains don’t have to cover your entire floor. 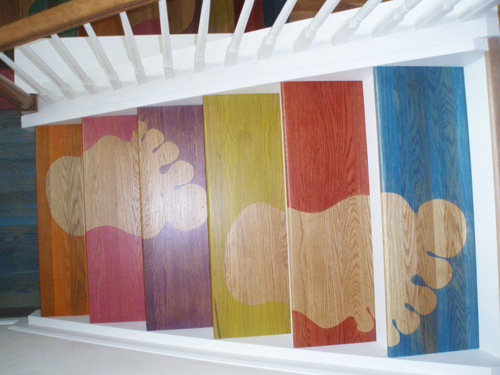 They can be used as accents or to highlight a certain feature of your house as well. 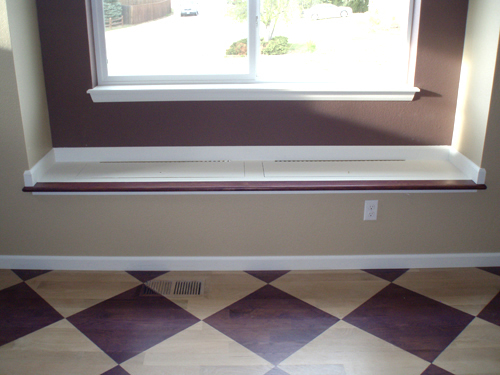 Such as the floor below which greatly enhances the custom window seat we did as well.